With 2017 in the rearview, the first long weekend of the 2018 is coming in Martin Luther King Weekend, where we celebrate and acknowledge the life of civil rights leader Martin Luther King Jr. Typically, people get that Monday off during the holiday and use the day to get together with friends and family. Some use this as a chance to throw a barbecue. Now if you’re looking for a party rental Miami company to supply you with everything you need, you know we’ve got you. From bounce houses for rent to hot dog machines we do it all! But if you’re looking to prep it yourself, we’re going to give you the ultimate prep guide for an awesome MLK weekend barbecue party. 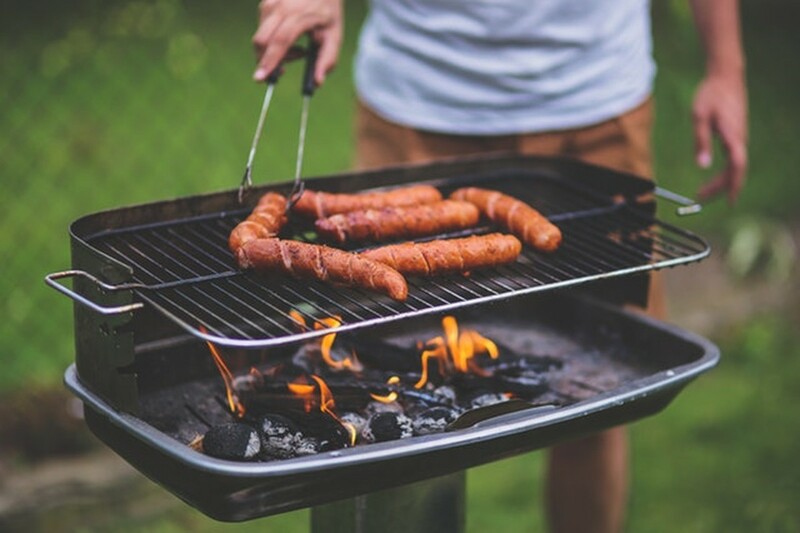 No barbecue is complete without the delicious combo of burgers and hot dogs. When you’re cooking burgers, 3-4 minutes is perfect for medium rare and make sure not to squeeze them too right as that’ll make the juices extract. As for hot dogs, you don’t want to cook them more than a couple of minutes. And if you want to get creative, wrap them in bacon and cook them a little longer so you can impress guests with your famous bacon-wrapped hot dogs! Also, really important to get all the condiments. Cheese, lettuce and tomatoes for the burgers. Ketchup, mayo, and mustard for both burgers and hot dogs. And anything else you think your guests would appreciate it. Tip: make sure you have some veggie dogs and veggie burgers for people who don’t eat meat. There may not be many vegetarians at your party but the ones who are there would really appreciate it! If you’re throwing a party for adults only or with many adults, get some alcoholic beverages so people can wind down. Grab your cooler and toss a few beers in there. Guests might bring wine or liquor too, and in the case of liquor, make sure to stock up plenty of sodas and juices for mixers so people aren’t drinking straight liquor. And of course, bring PLENTY of water to help with dehydration. Drinking and hot temperatures are not a good combination down the line so prepare for everything! For the kids or people who don’t drink alcohol, a healthy dose of juice, water and soda should do the trick. 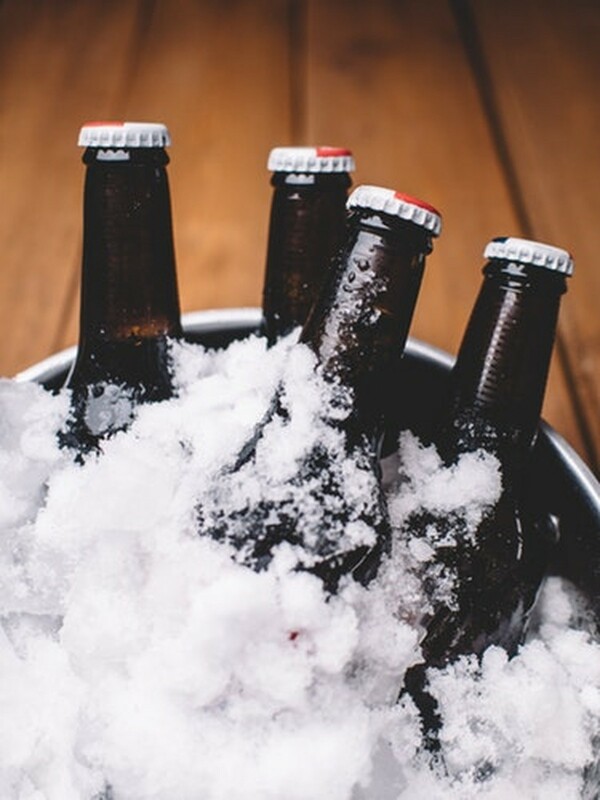 Tip: make sure to properly gauge how much ice you need! That way you don’t have to make multiple runs. No brainer here but make sure you’re stocked with utensils. We’re talking about paper plates, napkins and paper towels, forks and knives, cups, and tongs to get a hold of the food. With that simple collection, you should be set. No party is complete without good music. Here in Miami, we feel like a healthy dose of latin music with some rap and Top 40 songs mixed in is usually the safest and best combination for keeping everyone satisfied. Create your own playlist or if you don’t have the time, look through Spotify or Soundcloud for party mixes that best resemble what your guests would like. And if you’ve got the space, make sure the dance floor is safe for everyone! And of course what’s a party without your people? Start telling people about your event 2 weeks in advance if possible, as post-New Year’s is probably when people are making the most plans. Be as personal (no mass texts that look copy and pasted) and genuine as possible, and that’s when we’ve found hosts have the best turnouts. Once they arrive, thank them for coming and chat with every one of your guests if possible. Have a little something for everyone. For people who are shy, try to introduce games and events as icebreakers to help them get acquainted with people they might not know. For the ones who know how to get the party going, well, they know what they’re doing! Let them get others going and involved. Sit back, relax and have fun! You’ve earned it. Help your guests when they need something but otherwise, know that the hardest part is over. We hope you enjoyed this post!